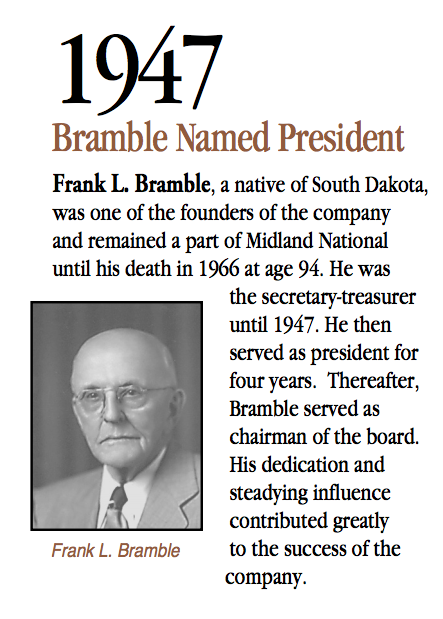 In 1947, Midland National named Frank L. Bramble, a native of South Dakota as President. Bramble was one of the founders of the company and remained a part of Midland National until his death in 1966 at age 94. He was the secretary-treasurer until 1947. He then served as president for four years. Thereafter, Bramble served as Chairman of the Board. His dedication and steadying influence contributed greatly to the success of the company.